My vanguard carries a blaster rifle. My commando carries a giant e-peen gun. In cut scenes, they draw their blasters menacingly. Where did that blaster come from? I’m going to pretend that I was making the dark side choice *just* to get this screenshot. 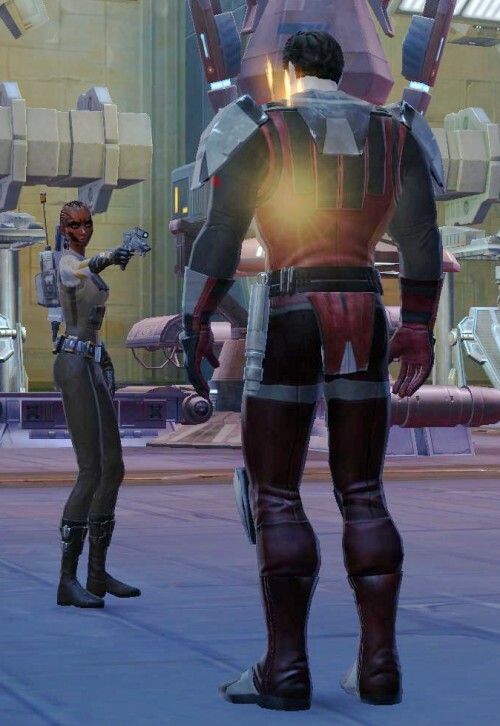 Also, I like it when Elara gives me the -41 of shame. My bounty hunter understands all the languages of the galaxy. She can understand any weird alien NPC out there, including those throat-clearing lizards. However, she has not a damn clue about Mando’a, the language of the mandalorians. Why is this sith lord wearing lipliner? Darth Maybelline wants waterproof mascara, or there will be hell to pay! Honestly, that whole ‘understands every language’ thing ticked me off. There was at least some attempt to explain why Revan could understand all these languages. Heck, they even lampshade it in KOTOR1. But in TOR? Nothing. Not even an attempt to explain. 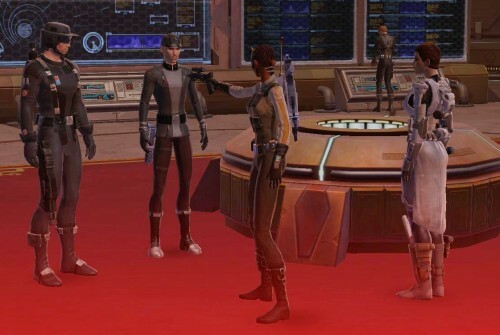 Granted, I could see how someone like a smuggler, or bounty hunter, or even an imperial agent would have to learn quite a bit to do their jobs. But a Sith Warrior? 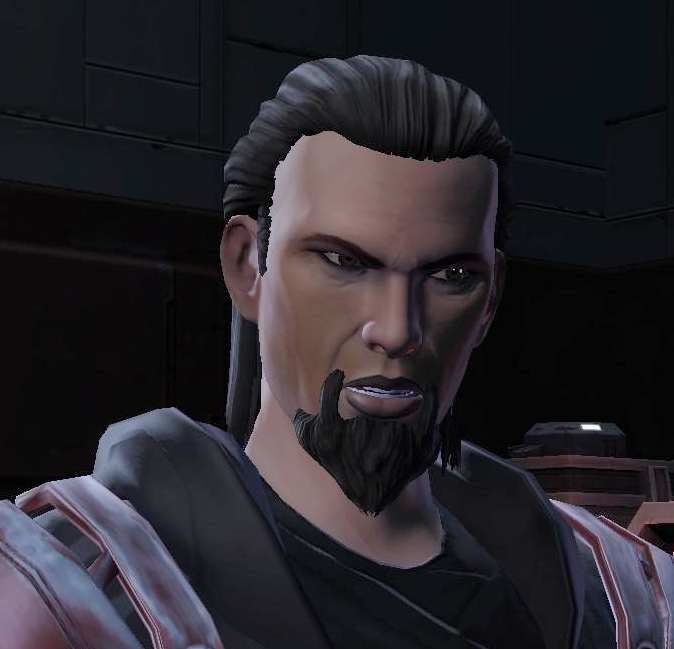 Isn’t learning the language of ‘lesser species’ punishable by death or something on Dromund Kaas? Or at least it seems like it would be the way they go on. Omg you are right! I never thought of it that way. 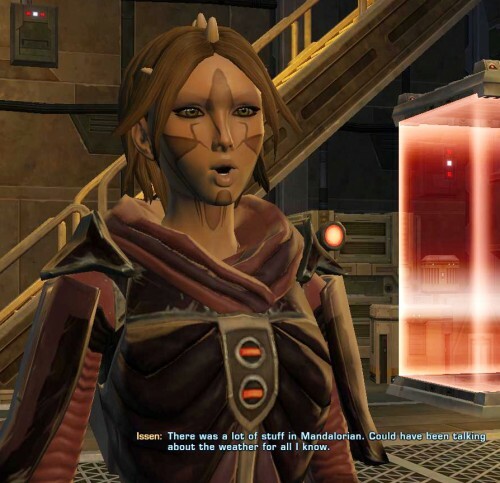 In fact, I had the option in a quest-giving conversation to ask “what’s an Ugnaught?” – and yet when I go down into the underbelly of Coruscant, I can understand their little piggy-noises perfectly. Now THAT would be a reason to keep C2 around if he needed to translate. This is over a month late but I just found this blog and have been reading through the whole backlog. Anyway, I’ve found -one- explanation for this – there is one codex entry (I think I got it on the Jedi Knight somewhere on Tython?) 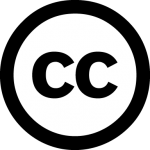 that talks about translators you can put in your ear that real-time translate spoken language. Why it doesn’t mention this more, to everybody, I have no idea. But at least somebody somewhere thought about it. That guy always cracks me up every time I go to Belsavis. In fact I am currently there on my mini-inquisitor so I’m seeing a lot of him. now I will forever think of him as Darth Maybelline and it will just add to the hilarity. Also never gave the language thing much thought but now that you mention it and I read the comment above mine.. it doesn’t add up very well. I was a little confused about the ugnaught thing too. I have to spacebar through conversations with them as the sound kind of annoys me too much to sit through for long. I’m surprised my characters would have the patience to learn to understand that. Also, the blaster thing is another thing that’s always confused me. My agent can’t even use a blaster but in every scene where I pulled a gun (except for one) I was aiming a blaster at someone’s head. The one exception was a scene where I used a sniper rifle but my agent was an operative so that also was a bit weird. These devices have no accept call button or am I missing something here? Outside my class quests, my stupid holocom never rings. I feel like a pariah sometimes.